I need to pay for some recent acquisitions, so I need to thin the Den. 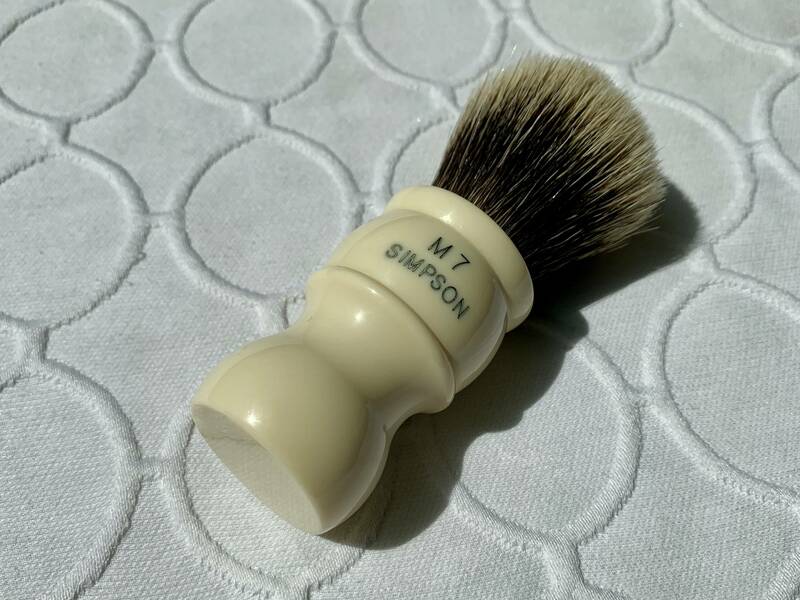 Up for sale is a Simpson M7 in Faux Ivory with Manchurian Badger. 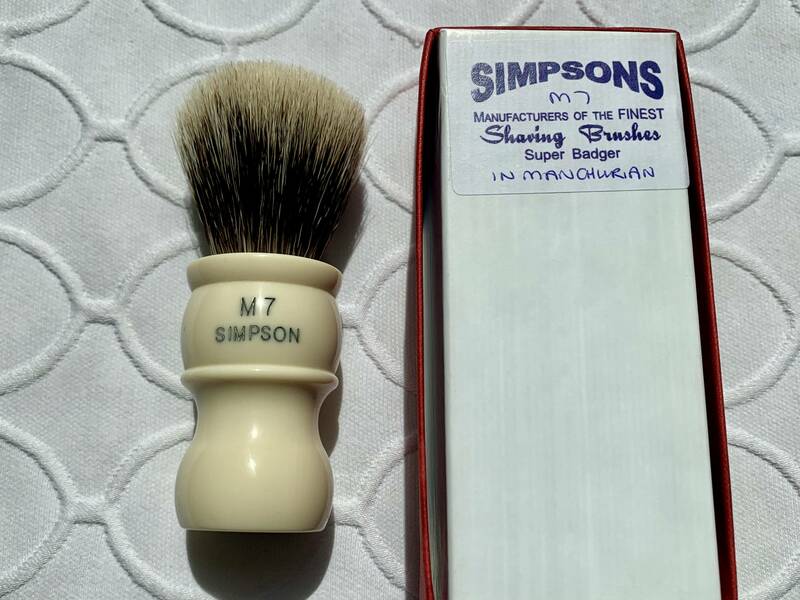 I am the Original owner of this Brush and purchased it directly from Simpson. 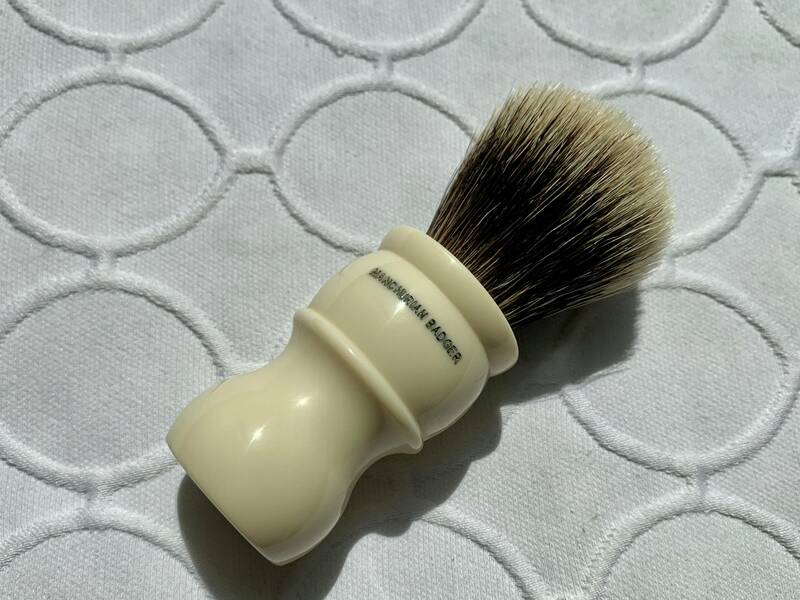 The Brush is brand new and has not touched water. Comes with original box. I paid $318.95 directly from Simpson, and am selling for $225 $215$195 Shipped Priority CONUS and PayPal only. Please PM with any questions or if you would like more pics. One and only price drop. If these don’t sell on the BST I’m moving them to eBay. 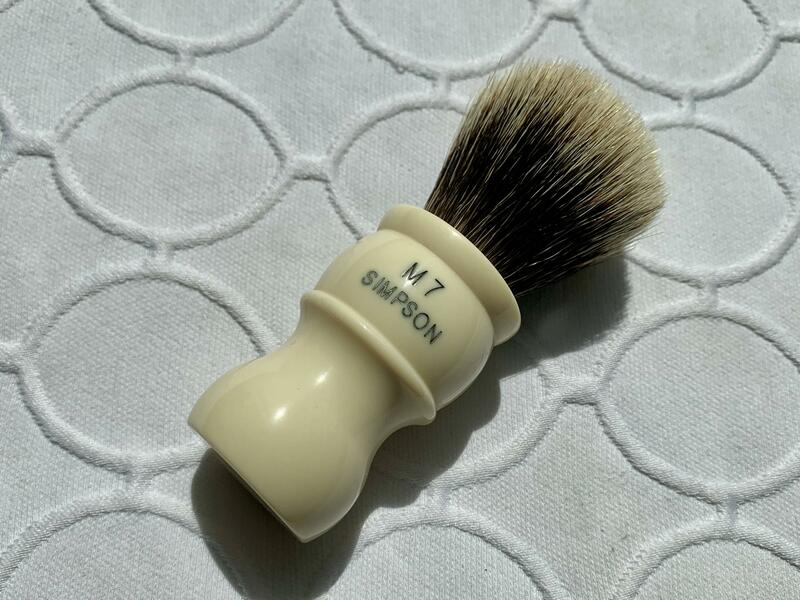 That is such a nice brush. GLWTS. I would really prefer to send this to someone on the forums than to a stranger on eBay. FINAL price drop to $195 Shipped. Withdrawn, to eBay it goes.